Enhanced fully multi-coated 1.25" CEMAX 2x Barlow Lens from Meade/Coronado. Specifically designed for use at H-alpha (or Ha) wavelengths, this Barlow uses optimized coatings to enhance contrast, minimize glare and also affords excellent contrast for planetary viewing. Please note that this Barlow is NOT a filter and for solar observing must be used in conjunction with a Coronado H-alpha Solar telescope or telescope with a Coronado or similar filter set appropriately and safely mounted. Especially designed for high contrast solar observing. Product carries one year factory limited warranty (within US/Canada only). Excellent for solar viewing with the PST! Review by Fred of Memphis, TN. I ordered this Barlow as a complement for my Coronado PST. I image the Sun in H-Alpha and my cameras didn't focus on PST as it has very short back focus travel. However, with this Barlow my cameras now focus perfectly. 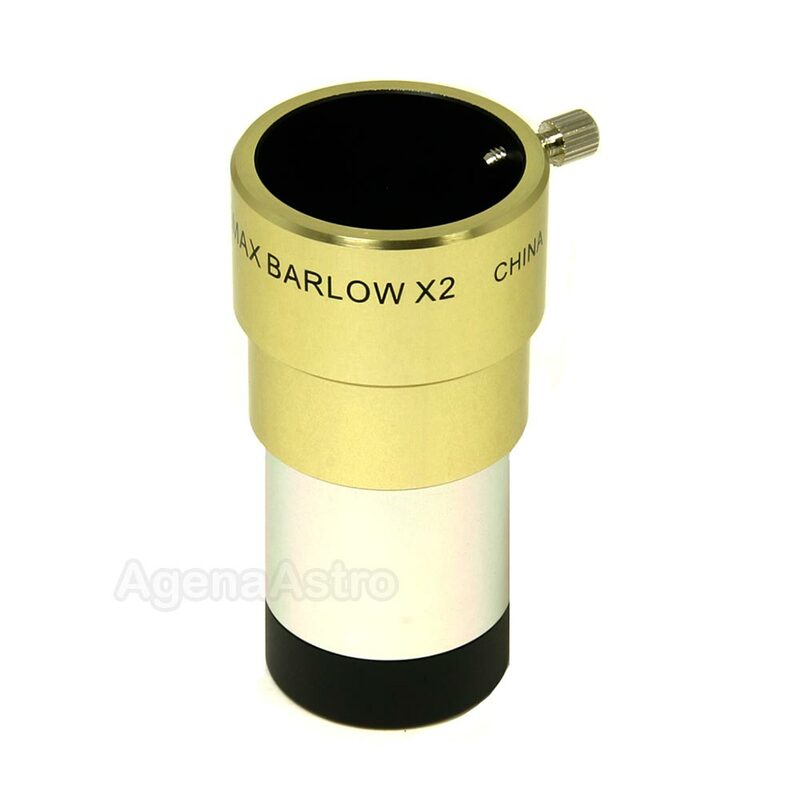 If you want to see all your solar scope can provide, you need this barlow.